This designation is presented to those Gymnastics Ontario athletes who have represented Canada at an Olympic Games, in recognition of their hard work and dedication to excellence in the Sport of Gymnastics. Nominations will be made by the Awards Committee – no additional submission documentation is required. 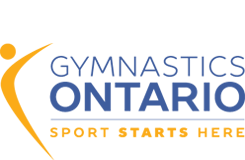 Recipients will be selected from a specific Olympic Games by the Awards Committee and upon approval by the Gymnastics Ontario Board of Directors. The competitive athlete program fee and membership insurance fee will be waived for Olympic Athlete Life Members who are still actively competing.